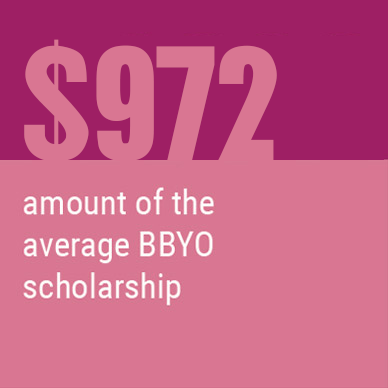 BBYO provides needs-based scholarships to help ensure that Israel is accessible to all Jewish teens. 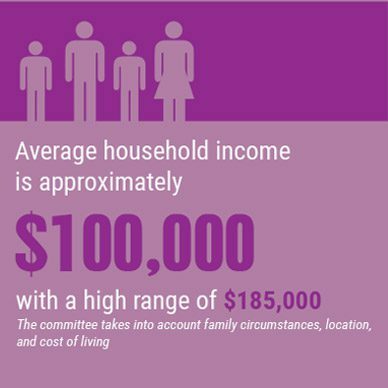 Many Jewish Federations and other organizations also provide grant funds regardless of need. Explore the opportunities below. If you took part in a prior BBYO Passport summer experience for teens, BBYO’s March of the Living, or Israel Family Journey you are automatically eligible for a $250 alumni discount off of a future BBYO Passport summer experience for teens, or BBYO’s March of the Living. The $250 alumni discount cannot be combined with any early registration discounts or other offers. Register at least five months in advance and automatically receive a $100 per person discount. All program payments are fully refundable up to four months in advance, so your savings are absolutely risk-free! In keeping with our mission to share the experience of Israel with as many Jewish teens as possible, BBYO has established a national scholarship for teen Israel travel. Funding is limited, so make sure to apply ahead of the noted deadlines. Available for teens participating in BBYO’s National Teen Delegation and BBYO-affiliated Community Delegations. Scholarship decisions will be made prior to the cancellation deadline on November 26, 2018. Available for teens participating in a summer Israel program other than ILSI. Scholarship decisions will be made prior to the cancellation deadline on February 28, 2019. Teens participating in ILSI may apply for financial assistance through the ILSI Scholarship. Teens involved in BBYO can contact their Regional/Council Staff for scholarships available on the regional or chapter level. Funds may be available for summer Israel travel and March of the Living. by making a donation today to BBYO Passport. Most communities offer teen Israel travel scholarships through their local Jewish Federation or through other Jewish educational agencies. In most cases, these community funds are available only for the teens in the areas that they serve. BBYO Passport programs in Israel meet the criteria to qualify for most of these scholarships. We have included a list of specific communities that offer such scholarships. If you do not find your hometown in the list below, check out the National Federation Directory. Due to the nature of changes in funding and resources, we do not guarantee the accuracy of the information provided nor guarantee eligibility as almost all sources are independently managed and have no connection to BBYO Passport. Below is a list of various sources for potential scholarship funding that BBYO Passport participants have received in previous years. The goal of this resource is to provide prospective BBYO Passport participants information about organizations within their geographic region that have offered scholarships in the past. We do our best to provide accurate material and information from each source. Often, synagogues have set aside funds specifically designated for sending local teens to Israel. Call your synagogue’s office to learn if they offer this type of scholarship. Departments that often have scholarships available include but are not limited to: General Scholarship Fund, Rabbi Discretionary Fund, Sisterhood, Brotherhood, Israel Committee & Youth Department. Some other local Jewish organizations may have scholarships available. Here are some potential sources in your community that are worth exploring. 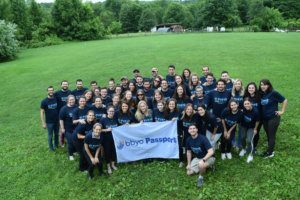 BBYO Passport is proud to partner with One Happy Camper to provide teens up to $1,000 off our U.S. based trips for their first summer at a Jewish overnight camp. This gift – made possible by your local Jewish Federation in partnership with the Foundation for Jewish Camp – is for campers attending their first Jewish overnight summer camp experience. Please view this list for qualifying communities, age requirements, and contact information at the Eligibility Page. A quick internet search will reveal numerous Jewish organizations that offer money to Jewish teens traveling to Israel. Send them an e-mail and see if you qualify! Do you know of a scholarship not listed or have updated information? Please let us know and we will post the information for others who are seeking funding for their BBYO Passport experience. In an effort to make Jewish summer experiences more affordable, high school-age teens from New York are eligible for generous financial assistance towards any BBYO Summer Experience in Israel, Europe, Africa, Latin America and North America. The New York Teen Initiative is sponsored by UJA-Federation of New York and the Jim Joseph Foundation. Scholarship amount will be based on finances. The average award last summer was $1,400. 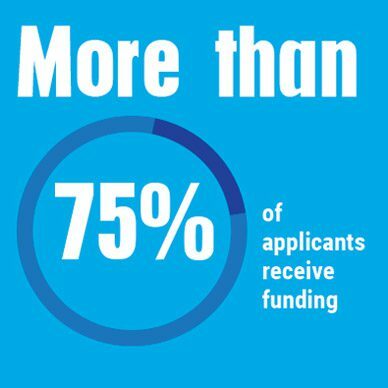 BBYO will follow-up with you to confirm the level of funding you are nominated to receive. Final allocation decisions are made by UJA-Federation of New York, and allocations will be issued within a few weeks of the submission deadlines. Should you not receive the scholarship allocation you requested from the fund, you will be able to cancel and receive a full program refund. Families are highly encouraged to sign-up for travel insurance in order to protect their investment and plan for the unexpected. NOTE: A separate travel insurance policy option is available for Israel Family Journey. Covered Reasons | Include personal illness (see full policy for mental health guidelines)/death, family illness/death, and other reasons – see full policy for details. Cancel for Any Reason | Cancellations for non-standard reasons must be made at least two days prior to the scheduled departure date. Medical Coverage | Pre-existing conditions are only covered if policy is purchased prior to final trip payment and the premium paid covers all trip costs (land and air). NOTE: BBYO Passport does not cover pre-existing conditions as part of our standard medical insurance. Insurance costs vary according to the cost of your program. Be sure to factor any additional travel expenses (e.g. cost of domestic travel) when deciding how much insurance to secure. NOTE: The rates listed above are for programs up to 30 days. For programs over 30 days please add; $3.00 per day. Pricing includes $10 processing fee. *Max trip cost is $10,000. Our group travel insurance policy can be selected and paid for as part of your BBYO Passport registration account. Policies are only available for USA residents. The supplemental “Cancellation for Any Reason” benefit is not valid for New York residents. All benefits are subject to policy exclusions. See the full policy for complete details. Policies may be purchased up until the date you make full payment for the program. Travel insurance policies are not issued until full program payment is received. Submit a claim by emailing info@ bbyopassport.org. In your message, be sure to include the name of the covered teen, the reason for the claim, as well as your home address and phone number. You will be sent a claim form to complete, and we will support you with any details as needed. If you do need to submit a claim, do not delay starting the process as certain cancellation benefits are only applicable when claimed in advance. Contact us to explore the possibilities, and ask us for a reference from a current partner. Want to have a lasting impact on Jewish teens this summer? We’re recruiting enthusiastic and experienced individuals to be madrichim (counselors) for our Summer Experiences! Review the job description and complete the staff application. For questions contact staff@bbyopassport.org. Compensation information is provided during the interview process. When you build exceptional experiences, people want to hear about it! Check out this press featuring BBYO Passport. 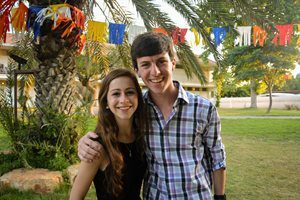 Hear from Faith Kessler, a teen from Arizona, who went on the BBYO Spain Discovery this summer. Spain Discovery is a two-week cultural travel opportunity for teens to explore Spanish cities and meet the Jewish communities there. This year, BBYO invited Jewish teenagers who want to become real leaders, to gather in Israel for 3 weeks, and spend unforgettable summer searching of adventure and personal growth. This summer, over 2,000 teens came together at BBYO Summer Experiences. These summer programs offer Jewish teens the opportunities to lead, learn, serve communities, travel, strengthen their Jewish and personal identities and meet peers from around the world. Aleeza helps teens find their Jewish voice and discover what aspects of Judaism are meaningful to them. She particularly emphasizes tikkun olam and finds creative ways for teens to contribute to the community in a way that feels natural and comfortable. BBYO Passport works with Camp Jori to help ensure their CIT’s (Counselors in Training) have a meaningful four-week experience in Israel. Teen Tomer Palmon writes about his amazing trip with BBYO Passport to Italy and Israel. Teen Jessica Sklar talks about her incredible summer on BBYO Passport trip Ambassadors to Bulgaria. BBYO Passport ensures a safe, meaningful, and fun summer for teens traveling in Israel despite on-going operation. Sara Strei reflects on the importance of having Holocaust survivor Trudy Album join her on March of the Living. Teen participant Jackson Cacioppo writes about his summer journey on ILSI with BBYO Passport. A Florida teen, Sarah Hoffen, discusses the discovery of her Jewish identity through Israel with BBYO Passport. Rachel Mitchell’s beautiful reflections from her experience on Ambassadors to Bulgaria. Twenty-five teens from BBYO’s Ohio Northern Region Ohio delegation participated in BBYO’s national delegation of the March of the Living. Contact us today to start planning your own travel experience with BBYO Passport! References are always available upon request.